At some stage of their lives, parasites need to move from one host to another - some move around a lot throughout their lives, staying just briefly on a given host before moving onto another. While others only do it once during their larval stage - once they reach their host, they are there for life. Either way, they still need to make a perilous journey to their host. This post is about study on Balaenophilus manatorum - a tiny parasitic copepod that lives on sea turtles. How does a tiny crustacean like that manage to find their way onto a turtle in the wide expanse of the sea? Do they jump on board when the turtle come into contact with each other, or can the larval stage swim on their own? Obviously they have managed to find a way because this copepod is very common among the juvenile loggerheads in the western Mediterranean, with over 80 percent of loggerhead turtles infected with B. manatorum. Given how small they are (the adult copepod is only about a millimetre long), it seems as if they would be barely a nuisance to their host. But when they occur in large numbers, they can be an serious menace. And they seem to have a very particular taste. It was thought that B. manatorum feed mostly (if not exclusively) on sea turtle skin. To find out more about how B. manatorum infect their hosts and what they feed on, a team of scientists did a series of studies on some B. manatorum which were removed from a batch of sea turtle hatchlings. These hatchlings were being reared at the Sea Turtle Rescue Centre (ARCA del Mar) - a rescue and rehabilitation for sea turtles in Spain. They came from a brood of eggs that was removed from a beach frequent by tourist to ensure their safety, but during their stay at the centre, many of them develop symptoms of infestation by B. manatorum, each of them infected with about 300 B. manatorum and one unlucky turtle was hosting over 1400 copepods. While removing the copepods from the turtles, the research team collected some of the egg-bearing female copepods that were on the turtles, and reared them until their eggs hatched into larvae for the further study. Therefore, these parasitic copepods may present as a kind of social cost to these turtles, since not only is a social communicable parasite, it can also be a sexually transmitted infection. For B. manatorum, their entire world really is found on the back of a turtle. Domènech, F., Tomás, J., Crespo-Picazo, J. L., García-Párraga, D., Raga, J. A., & Aznar, F. J. (2017). 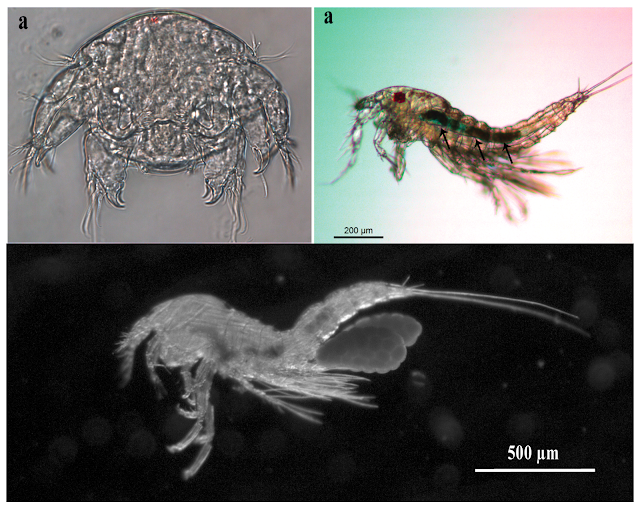 To Swim or Not to Swim: Potential Transmission of Balaenophilus manatorum (Copepoda: Harpacticoida) in Marine Turtles. PloS One 12(1), e0170789. One of the precondition for leading a successful life as a parasite is being able to reach your host in the first place, and various parasites have larval or adult stages that can hop, swim, or crawl towards their hosts. But there are also some parasites that need the help of other animals to get to their destination, such as the flea described in the study being featured today. This story takes place in a cave at the Gunung Mulu National Park, a UNESCO World Heritage Site on the west coast of Borneo. The cave is home to a colony of Naked Bulldog Bats. Lagaropsylla signata is a bat flea which was initially described over a century ago from specimens collected in Java, but this is the first time this parasite has been recorded in Malaysia. While L. saginata would like nothing better than dining on the blood of some hairless bats, those same bats are roosting on the roof of the cave, and the flea is not capable of scaling the cave walls to reach their hosts. Fortunately for L. saginata (but not the bats though), there are other denizens of the bat cave that a thirsty flea can turn to for help. Enter the cave earwig Arixenia esau. The researchers found that the bat fleas were mostly either attached to those earwigs or just hanging around piles of bat guano on the cave floor, so those earwigs must have some significance for the fleas for them to be so clingy. Arixenia esau also feeds on bats - but in a different way to the fleas. Instead of tapping into the bat's blood, the earwigs are content with munching on dead skin and slurping up oils that are secreted by those hairless bats. And they are much better at navigate the cave's environment than the tiny fleas. So while these earwigs make their way to another helping of bat skin flakes and oil, L. saginata takes the opportunity to hop on board use them as a shuttle service to an all-you-can-drink banquet. Lagaropsylla saginata is the not only ectoparasite that hitches a ride on another animal to reach their host. Last year I wrote about bird lice that hitch rides on louse flies (which themselves are also ectoparasite), and the year before that I wrote about the kangaroo leech which feeds on frog blood, but gets around by riding on crabs. Also, the human botfly lays its eggs on mosquitoes and uses those blood-suckers as a courier to deliver those eggs to suitable host, where they hatch into flesh-burrowing maggots. When you are a tiny parasite which has trouble getting around in the big bad world, you can always try and enlist the help of larger, more mobile animals! Hastriter, M. W., Miller, K. B., Svenson, G. J., Martin, G. J., & Whiting, M. (2017). 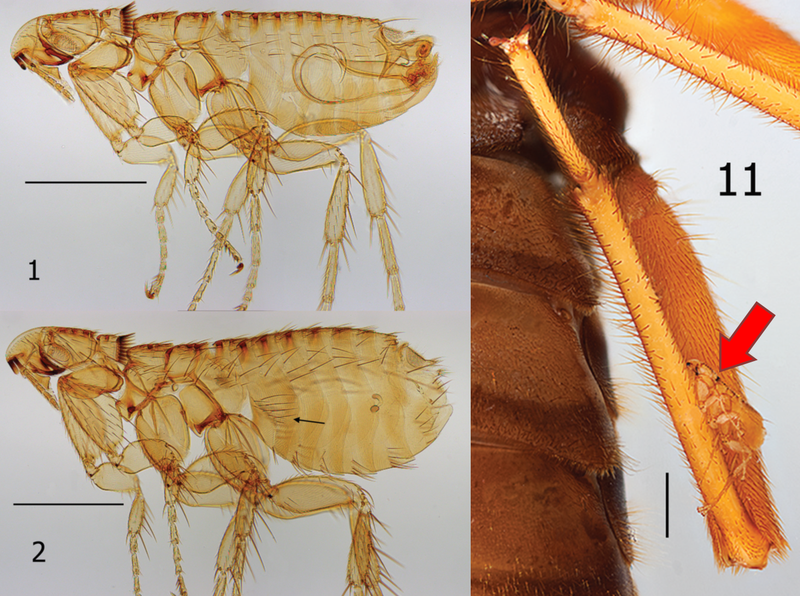 New record of a phoretic flea associated with earwigs (Dermaptera, Arixeniidae) and a redescription of the bat flea Lagaropsylla signata (Siphonaptera, Ischnopsyllidae). ZooKeys 657: 67-79. This paper has also been covered by Jason Bittel over at National Geographic - see his post about this particular study here.